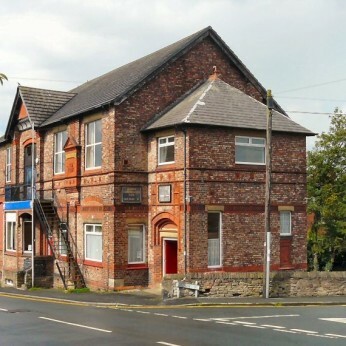 Welcome to the Marple & Mellor Con Club, in the village of Marple Stockport, we have two bars and a large function room that is available for hire. All live sports on our 92" screen a great selection of beers gins and bottled ales & lagers. Watch all the live sport on our 92" screen in HD with surround sound BT Sports and Sky TV. We have two snooker tables ,pool and darts . The club has three snooker teams playing Tues and Wed nights, mens darts on Mon and ladies darts on a Wed.
We have live music events and Quiz Karaoke nights on selected Fridays of every month and open mic (words and music provided) every Sat night from 8.30pm. Other activities at the club include Line dancing every Wed and Thurs night, Bingo Thurs night . The club offers a large selection of draught and bottled lagers and ales and very competitive prices a great selection of twenty plus Gins, membership is only £10 per person per year. If you are in the area or want to call in you can relax in a nice friendly atmosphere and enjoy a excellent pint or glass of your favourite wine we look forward to seeing you. Relax on a Sunday afternoon with our wine o'clock offer where you can get a glass of wine white,red or rose see prices below. At present we only serve food on a Saturday until 18.00pm.